One year after a major bomb attack in Copenhagen radicalisation around the country has intensified and ethnic tensions are running high. The next parliamentary election is near, and the extremely nationalist politicial leader Martin Nordahl is set for a landslide victory. 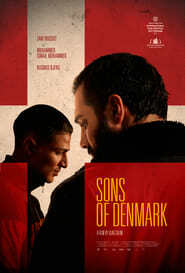 19-year old Zakaria gets involved in a radical organisation, where he forms a bond with Ali. The two men cannot agree with the current state of the country, which is turning on its own citizens because of their migration background, and decide to act. However, they are both just tools in the hands of people with power. As the men try to make their mark, their brotherhood will be tested and their actions will have grave consequences on their lives.